Today, we're at a certain position in our orbit around the Sun. Tomorrow, we'll be 2.6 million kilometres further along. Between now and then, humans will alter their calendars and clocks and celebrate. Here's the meteor outlook for 2019. Inspired by the Sky & Telescope magazine article. I added the Moon brightness into the table so one can make a quick assessment as to the visibility. 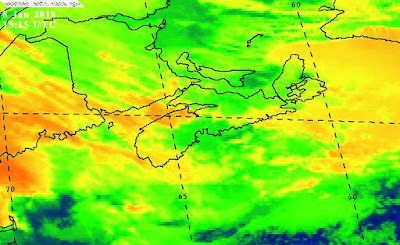 This is tuned for observers in or near Ontario, Canada, factoring in the Sun's position at the shower peak. The dates and times are local too, for Ontario. "Sun" is the Sun's elevation at the moment of the shower peak in degrees (°). I paint a bleaker picture here than S&T. They show the η Aquarids and δ Aquarids as candidates, given the low Moon brightness, but if you're picky about the peak time, it won't work for viewers in south-western Ontario. See my annual meteor showers table on the lumpy companion for a longer list of showers, generally ones over 10 per hour. Frank shared a double star report on the RASC Toronto Centre forums. I found 59 AND to be easy to split with nearly similar magnitudes. 32 ERI is a nice contrast double at 100x with the orange and blue colours. 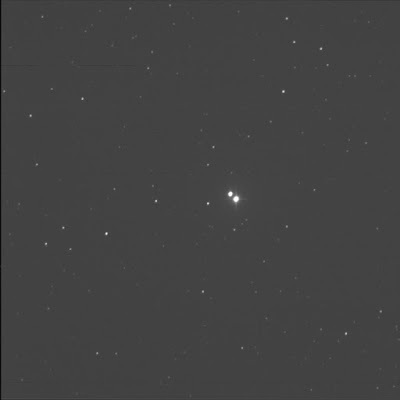 The third pair, STF 180, is gamma ARI (not lambda) and has both stars with similar brightness that appear like a pair of eyes. 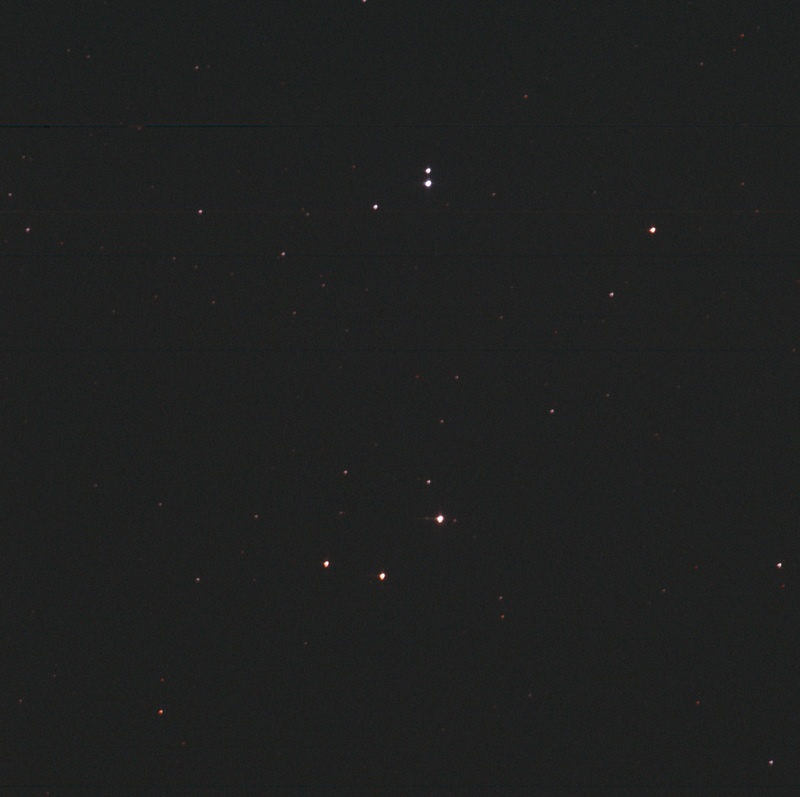 I found both 66 CET and 77 PSC to be a nice contrast in colours and the difference in brightness of each pair. I asked the BGO robot to aim to the multi-star system HD 25201 aka Σ479 (Struve) in the constellation Taurus. Just for fun. Luminance only, 1 second subexposures, 12 stacked shots. FITS Liberator, Apple Preview. North is up; east is left. Santa (my neighbour) gave me some Hot Sox! Ha ha, Starry Night! Inspired by Vincent van Gogh's painting. I received the SkyNews magazine from January/February 2019. 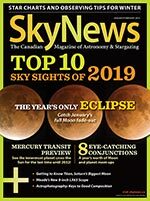 I'm looking forward to the preview of the year, the Top 10 Sky Sights For 2019. And new product reviews. 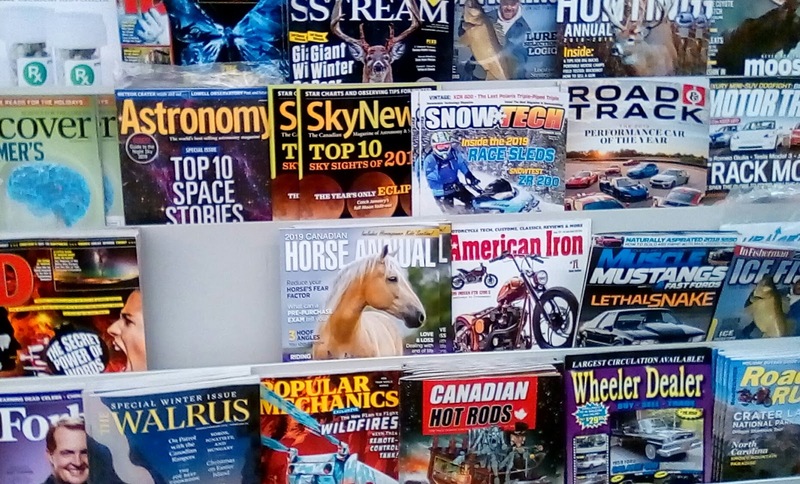 There are articles on the moon Titan, composing photographs, and the Unicorn constellation! Packed it in my gear for my trip to Mom's. I planned to do lots of reading, not just at bed-time. 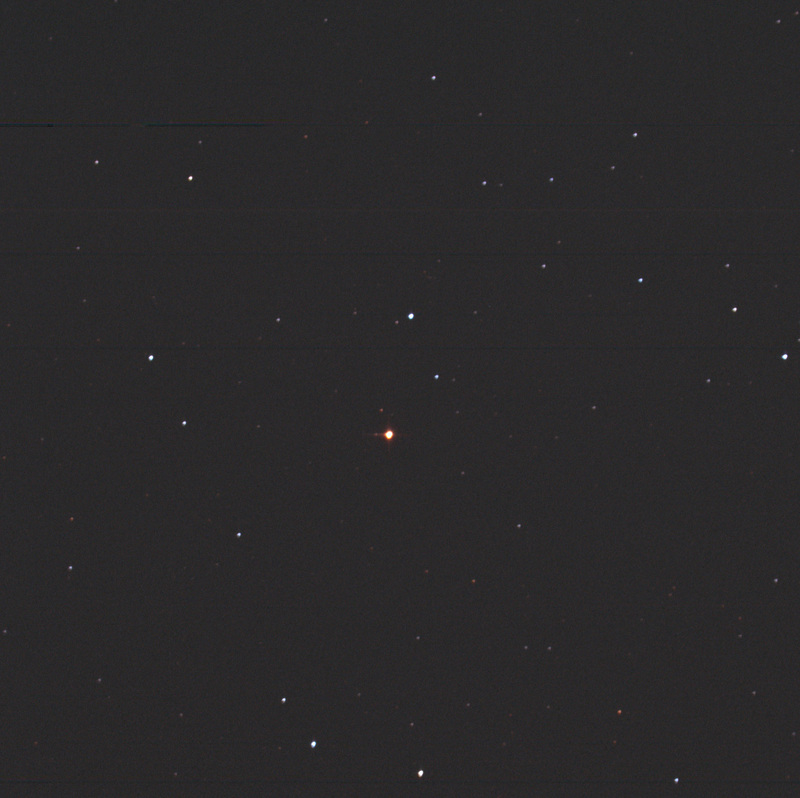 Assembled the LRGB data for the Winter Albireo, combining the data gathered yesterday. Lovely. L 1x12, RGB 3x12 each. FITS Liberator, Photoshop. North is up; east is left. Issued my double star "bulletin" for December. It is a short list of suggested double and multi-star targets. I shared this on the RASC Toronto Centre forums. And I post here for all. Happy hunting. Let me know if you're able to punch through the clouds. Rhonda said she was going to be out and about and asked if I needed anything. When we said she'd be near bookstores, I asked if she could keep an eye out for the January 2019 edition of Sky & Telescope. She found it. Yeh! I particularly wanted the Stargazer's Almanac chart, the interesting hourglass-shaped infographic showing sunset and sunrise times, setting, rising, and transits of the planets, the phase of the Moon, etc. 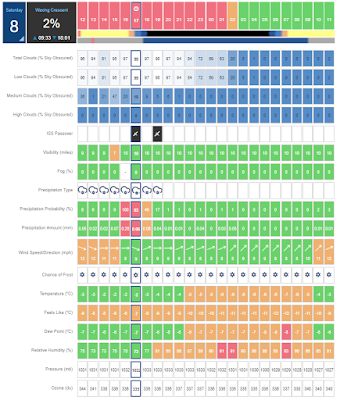 It's a very unique chart, a little challenging to read, but very useful. 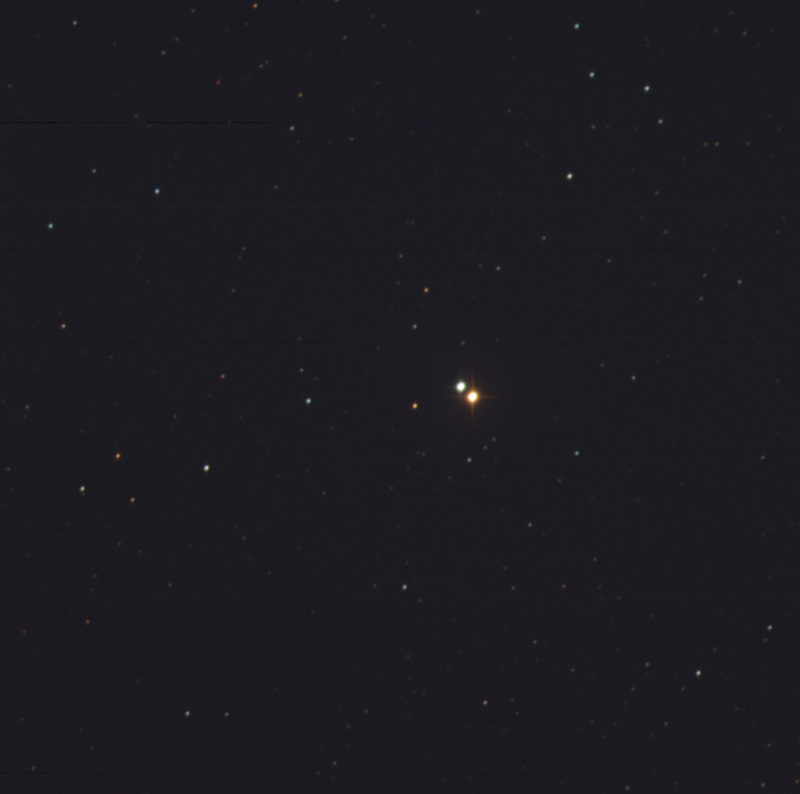 The Burke-Gaffney Observatory robot imaged double-star HR 2764. aka h 3945 or 145 Canis Majoris. Well known as The Winter Albireo. Luminance only, 1 second subexposures, 12 stacked shots. FITS Liberator, Paint.NET. North is up; east is left. The image looks pretty good despite poor seeing and a nearly full Moon. First viewed (stumbled upon) this target on 26 Mar '11. Made the colour image on 21 Dec '18. 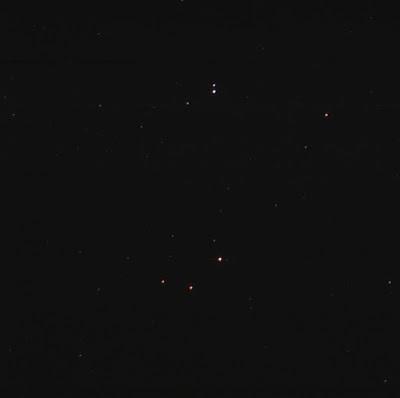 Peeked at Messier 42 (M42), ι (iota) Orionis, the belt stars of Orion, σ (sigma) Orionis, and Meissa [ed: er, Collinder 69]. Then some streamers parked right in the area of the comet. OK. I get the message. Gar. I ventured outside several times in hopes of seeing clear skies. I really wanted to view the comet. Alas, low cloud and ground fog stopped me. Scuppered. With the stoopid Moon getting more annoyingly brightly everyone night, I fear I'm out of luck. Maybe in 2 weeks...? So frustrating. Tried to image the International Space Station from the backyard but it was too low and too faint. The flyover was from 5:17 PM for about 10 minutes. I did not see anything visually. Canon 40D, Rokinon 8mm manually focused, ISO 100, f/22, 10 seconds, daylight white balance, barn door tracker, Neewer intervalometer. Thanks to Steve McKinney for checking my math. David Saint-Jacques is on station for 6 months... So there will be other opportunities. First time I think I've ever seen the Canadian astro rag available at my local Shoppers. Ironically, I was shopping for Sky & Tel. The Royal Astronomical Society of Canada achieved a little milestone today. With the declaration of three Explore the Universe observing certificates at the Sarnia Centre RASC awarded 27 observing certificates in the year 2018, the most in one year since 2007. This was a threshold the national observing committee was hoping to reach by year’s end. Dave Chapman, the chair, was very happy. He thanked everyone for making this happen. I was happy too. It is apropos with 2018 being our 150th anniversary. Saw stars when I when out to fill up with cheap gas. Clouds when I got home. The journey to the Sculptor galaxy was long. I'm indebted to Dave Lane. I first encountered this issue in May 2016 when I tried to capture NGC 6520. Despite my efforts, my requests were rejected. I was disappointed but not entirely surprised with the open cluster never rising over 18 degrees above the horizon. I was using the MINALT setting from the beginning to (indirectly) control how long I wanted the system to wait before imaging a target. I.e. I wanted to image higher vs. lower. Ideally, to shoot targets at an elevation of 45° or above. On NGC 6520 I used MINALT=15 but didn't fully understand the matter of altitude constraints at the time. In June 2016, I made a new page in Evernote for targets "too low" for BGO. It was probably around then I made an analogous list in SkyTools (on John Charles). As I transferred more targets to this note, I lamented. I would not able to photograph all the objects in the RASC list. Late in the summer of 2016 I set my sights on the fine galaxy in the Sculptor constellation. On 25 August at 5:43 PM EDT, I asked BGO to listen to me while I submitted the job using "#request object=NGC253 special= LUM,60,10,RED,60,5,GRN,60,5,BLU,60,5 comment=RASCFinest". 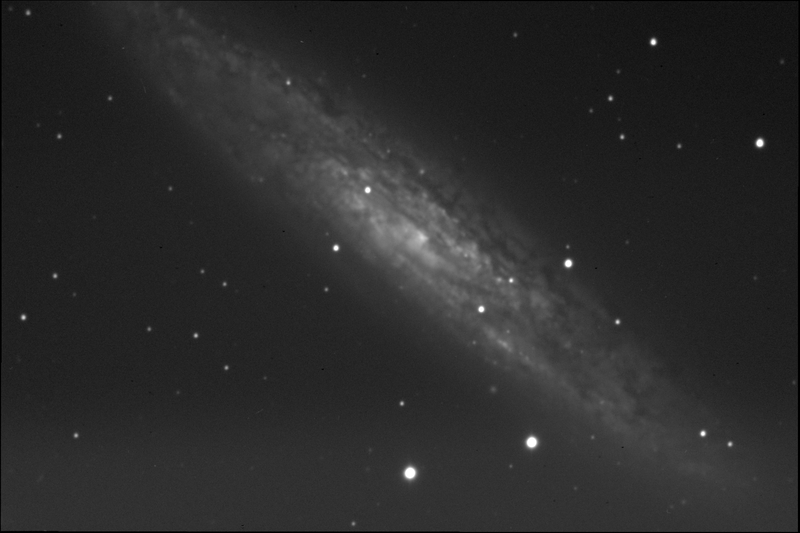 The 'bot replied "Sorry, NGC253 never rises high enough to be observed at the BGO!" I can't remember if I tried again at the time but it is likely I just picked other targets, moving on, as I had many candidates still early in the process. 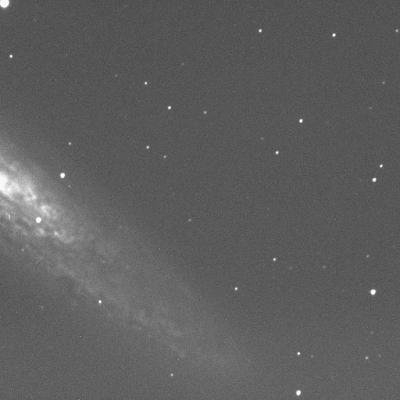 robot: Sorry, NGC253 never rises high enough to be observed at the BGO! What? Huh? I was confused. The LOOKUP command suggested it could be added. I remarked while imaging The Antenna Galaxies in late December 2017 that I had a "better understanding of the MINALT." Finally I clearly understood the parameter. I learned the default minimum altitude for BGO was 25° yet it could be overridden and forced lower. But only down to 20. That was it. This knowledge helped me bag galaxy NGC 1232 in Eridanus. Yet it still did not explain why the 253rd NGC wouldn't take. I resigned myself to getting all but two of the Finest. Well. With BGO I'd be able to get to all but two. I had optically viewed Sculptor way back on 1 September 2008. So that one was "done" in a sense. Then, happily, I finally viewed NGC 6520 on 12 June 2018. That for me was a milestone: I had seen all the Finest, directly or indirectly. Fun. Sometime in the fall of 2018 I hatched an idea. I don't remember exactly when or where but the broad strokes were to use another robotic system. That philosophically felt right. Using another robotic system to get the other two NGCs felt right. During my Burke-Gaffney Observatory presentation at the Ontario Science Centre early October, I mentioned that the Abbey Ridge Observatory "would be open" to RASCals. Dave corrected me: it already was. I think a couple of people joined after seeing my prez. And I started thinking seriously about it. On 28 October I sent a note to Dave. I said I was entertaining the idea of asking for an account at ARO particularly if it had lower altitude/elevation limits than BGO. I felt it would be neat to image every Finest with a rig accessible via social media. Not directly related to this endeavor was the use of the new Communicator app created by Dave Lane. I downloaded the Android and Windows apps on November 26 partly to help him test the beta release. For me a most interesting aspect of using the little tool was the instantaneous response. The direct access to the robot meant turnaround time was significantly faster. Dave VIII and I chatted via Facebook Messenger, trying various things in the new app. During the conversation, I asked Dave if he had thought more on my ARO question. He sent me a snapshot of the obstructed horizon for ARO. 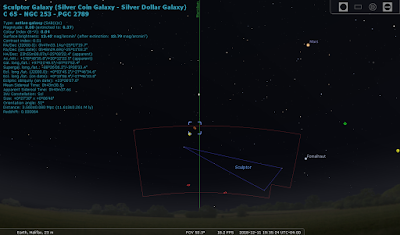 The simulation showed the Sculptor galaxy below the tree line at the time of 8 PM. That said, Dave noted the trees were "leafy" so it might work. But it might also require he make a "notch" in the horizon file. I mimicked the horizon in SkyTools so I could put it into motion. 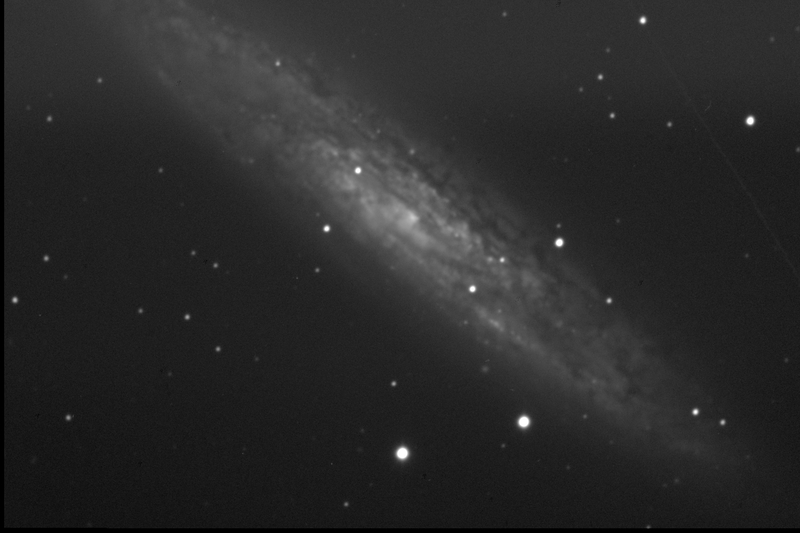 I found NGC 253 would peek over the trees, in the little dip to the south-south-west, in a couple of weeks. Dave told me to touch base shortly before. That meant I needed to configure for using the Abbey Ridge system. I submitted an ARO request on 27 November but didn't get a response. Later I discovered it was malformed. RTFWP. I composed a properly formatted membership request on 5 December. Dave reminded me to create a password so I could use the Communicator app. Done. On 9 December, I reached out to Dave. 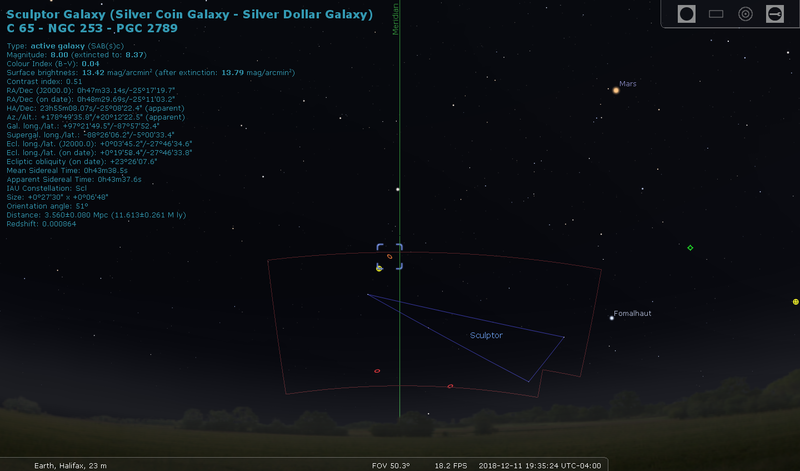 I noted the Sculptor galaxy would culminate around 7:45 PM AST over the next little while. The true altitude would be +20°10'; the altitude above visible horizon would be +20°34' (at least, that's what showed in SkyTools for my BGO SMU profile). 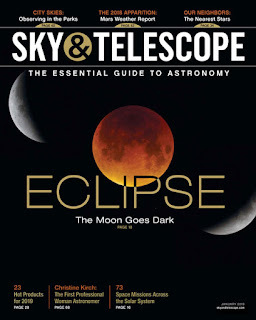 The Moon set Monday and Tuesday nights around 8:00 PM. It looked like the Tuesday night weather might cooperate. The CSC for Abbey Ridge looked promising. Clear Outside said both Monday and Tuesday 8-10 PM time slots were fair to good. The Weather Network said both nights would be partly cloud (and really cold)! Astrospheric was not encouraging. I asked if he could help. On Monday afternoon I checked the weather. It still looked somewhat promising. I pinged Dave on Facebook and apologised for bugging him. He said "no worries" and then sent an email message. "Both observatories will accept ngc253 now even at minalt=25 and its clear NOW!!!! Submit and let me know and I'll bump the priority." That was very nice of him to help me so. Wait?! It was clear?! The weather predictions were off. Dave was looking out his window and it was looking good. Oh my Universe! This was great news. I needed to get jobs in queues ASAP. I formed an order in Evernote. I submitted it via the Android app to BGO and ARO. Both failed. The 'ole "never rises high enough" response. Oh boy. Told Dave. "Ack. Stand by... the lookup command worked which puzzles me." Indeed. A long outstanding issue for me. 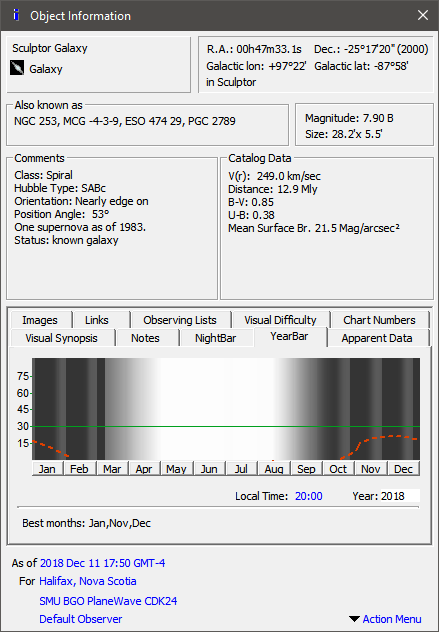 There are 3 constraints, the actual horizon, a minimum altitude regardless of horizon, being "reasonably" observable in the next 30 days, and a lowest dec (this one is just to avoid searching serviceability if its hopeless. I relayed the good news. My simplified task "#request object=NGC253 special=LUM,60,10 comment=Finest" was accepted and I was assigned job ID 1373. I sent a "#weather" query at 17:57 AST. ARO said "The sky is CLEAR (temp=-8C, wind=0 km/h)." Look at that. Started noting emails with the subject "ARO: The operator has edited your request ID 1373 (NGC253)." The human was tuning my request. A couple more came in. I checked Requested Observations pages at ARO. I noted the lower minimum altitude (18°) and the elevated priority. I also saw the FULL SIZE parameter was active. Cool! Wondered if I was interrupting Dave's dinner when he sent a report. It is starting up. Some fluffy clouds around so we'll see. Dome was initially frozen (global warming? its -8C!). Yes! This was gonna happen! I was excited! Another email arrived. "ARO: The operator has edited your request ID 1373 (NGC253)." I think he set the MINALT even lower. At 6:16 PM AST, Dave suggested I submit a second time. He provided recommended parameters, "som=w minalt=15 fullsize=yes", noting that "som" would force it to the west side of the meridian. I didn't get it, at first. A little fuzzy. In my brain, a fuzzy. I asked if he was suggesting that, his edits notwithstanding, I send a second job. Moments later I thought, what the heck. Sure. Two jobs. I didn't think ordinarily I could do that, be on the same target in the same night, but hey. I submitted another job as per his instructions. It was my first use of the "som" option. ARO queued the ask at 6:30 PM AST and assigned ID 1374. I sent an email to the Abbey Ridge machine with the #satellite hash tag. It did not look great at the moment. 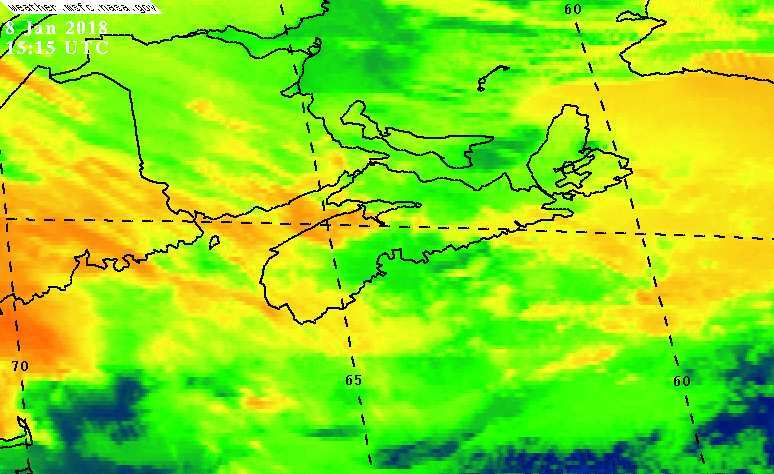 But I saw that if the wind was coming from the north-west, the red blotch would move over the observatory west of Halifax. Good. At 5:38 PM EST, I received a reply from Dave. "A second one, just to give it two tries." And finally the light bulb went off. Get more eggs in more baskets. Ask the observatory to try more than once to cover more bases. To dodge potential clouds. To simply make more attempts as we literally pushed the envelope. He then updated me: "It is taking forever to get over the 18 degrees I set, but it should run in a few mins..." I was on the edge of my seat. 5:48 PM EST. Told Dave I had added the second request. I asked to bump the priority but he was already on it. "ARO: The operator has edited your request ID 1374 (NGC253)." OK! Good to go. Two minutes later, Dave said, "Slewing..." Oh, the anticipation. I thanked Dave. He said, "I might need to go hold some branches aside!" Told him I wanted a picture of that! Super-low I imagined. Just skimming the southern trees of the Stillwater Lake community. At 6:53 PM AST, Dave forwarded an image. The "sync" image. It was then I remember the specs for this system. A long focal length given a C14 was being used. It also jostled me that I had yet to build a profile in SkyTools. 6:59 PM AST. Dave forwarded 1 minute raw image. It was fantastic to see the Sculptor galaxy centred. He shared that it was a "good thing the trees are mostly maples. I must take peek and see what its looking through. Maybe I need summer and winter horizons!" Sounded like even he was surprised. Told him I did some visual observing in the winter and enjoyed pushing lower around deciduous trees. He shared he had trimmed some trees since the horizon was measured. And then, at 6:07 PM EST, I received an email that I thought, for a long time, that I'd never get. The ARO robot updated me with the missive "ARO: #aroreplies I have taken your special observation of NGC253 (ID 1373)!" w00t! It was done. I finally had a image of one of the lowest selections from the RASC Finest list. Acquired by remote control (well, initiated by commands I had submitted from Ontario, then fine-tuned by the operator in Nova Scotia). Pretty neat. Luminance only, 60 seconds subexposures, 10 stacked shots. FITS Liberator, Paint.NET. North is up; east is left. Gradient on the top of the frame. Satellite at the top-right. S'OK. 6:19 PM EST. I checked my weather resources. I recorded the Clear Sky Chart values. The predicted numbers were surprisingly poor. Cloud: 70% covered. Transparency: too cloudy. Seeing: 2, poor. The Moon altitude as around 2°. I'm a big fan of the CSC system but it was way off. I snapped the the Clear Outside site: it showed much better conditions. Dave's on-site reports showed that CO's prediction to be better. More current. Noticed another edit of a queued job. High priority for 1374. Low elevation setting. Ooh. West side. I continued to monitor the twitter feed but there were not a lot of updates. Then at 7:02 PM EST another email came in. Subject: ARO: #aroreplies I have taken your special observation of NGC253 (ID 1374)! All right. The other side of the meridian. I had followed Dave's good advice and doubled down. Gradient at the bottom this time—flipped of course. Happy happy joy joy. Twice the data! A great feeling. Lots of things came together this evening. To top it all off, this undertaking marked my first capture with the ARO rig! The robotic Abbey Ridge Observatory is home to a Celestron 14-inch Schmidt Cassegrain Telescope with an SBIG ST-8XME CCD camera. There's a focal reducer that changes the imaging parameters to about 60%. 11:28 PM AST. The 'bot relayed the message "ARO: Your observations taken overnight are ready..." I downloaded the ZIP files and opened the luminance frames in FITS Liberator. Good data. Not surprised to see a gradient given the extreme elevation. Converted, opened the TIFS in Paint.NET, and made the JPEGs for this post. I thanked Dave again. Wow. I learned tonight that NGC 253 is also known as the Silver Coin or Silver Dollar Galaxy. Also, it is in the Caldwell catalogue as entry number 65. Ha ha. Love this photo from Space Station. 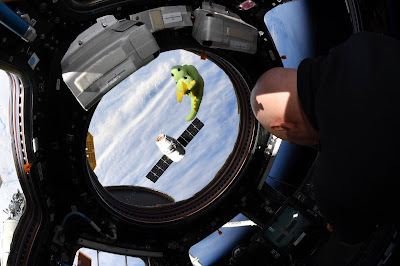 Lots of dragons in low Earth orbit. I like too how the Canadarm is at the ready. Oh my. Clear Outside paints a poor picture. My walk to and from the drug store suggested the sky was improving. The CSC has thrown me off. It is very optimistic. Had fiddled unnecessarily with Heavens Above. Every time I went to change the location it switched to a latin language. Gilipollas! Returned to my desk to find the mouse pointer frozen. Whiskey tango foxtrot. I had recently tested the space USB cable at the John Max Windows computer as I cannot find my regular tether. Here I was accelerating with the idea of imaging the ISS pass at 5:48. Enjoyed Malcolm's photo of comet 46P/Wirtanen, from his online photo gallery, shared on Facebook. DSLR shot with a short refractor. I noted his settings and I'll try as soon as I can. Jealous of his dark skies though. Visit Mr Park's SmugMug gallery for stunning photographs. The comet is (currently) in the Recent Pics area. The idea of STT 54 aka HD 21476 came from reviewing Haas's double star book. Her colour descriptions were intriguing. I get "pure white." But what's "bluish khaki?" L 1x12 RGB 3x12 each. FITS Liberator, Photoshop. North is up; east is left. 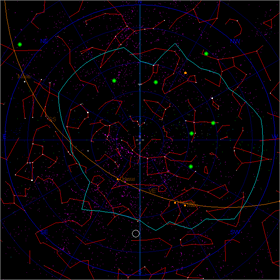 STT 54 is the triad to the north, near the top of the image. A, the brighter of the close pair, is clearly white. The slightly dimmer partner to the north is... bluish. Yes, blue. It's a triple. Dim C is to the east-south-east. It's white or grey. When I hear khaki in the context of colour, I think light brown. I have khaki style pants that come in all kinds of colours. 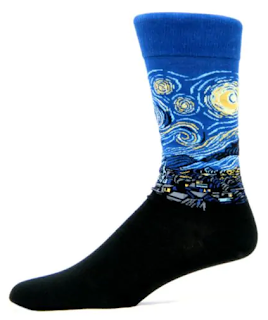 The blue ones are dark. I checked artist Ingrid Sundberg's Color Thesaurus. I don't see "khaki" there. I might use "sky" or "sapphire" for the B star's colour. The other stars in the field are very interesting. To the west, the solo dark orange ember. That's SAO 12785 with a B-V of 1.80. The triangle to the south is made up of HD 21477 to the west, a K0 star, with a B-V of 1.27; SAO 12795 at the apex, B-V 1.83; and along the eastern shore PPM 14345, B-V 1.75. Readjusted things a bit. I didn't like how dark the first result was. And I was a tad enthusiastic on the saturation. A little better. I like that more field stars show. For fun, I wanted to image U Camelopardalis. 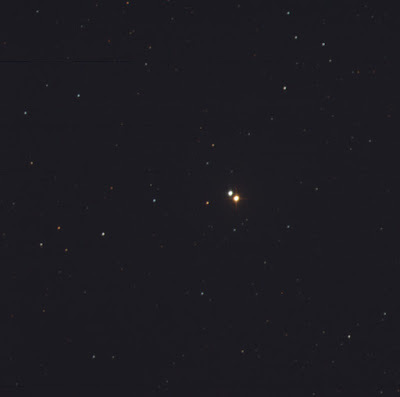 It is a very red star, spectral class N! And a multi-star system to boot. I first submitted a job on Nov 21, aiming at the nearby star TYC 40660 1091 1. The Burke-Gaffney Observatory robot accepted my request and queued me up. Then two nights later, BGO had a crack at it. But as I noted, it did not gather all the data, and this time I needed all the colour data. Dang. That said, the seeing was poor and the Moon was high. I resubmitted the request with the exact same settings (I just copied the first message). It was put into the queue again without fanfare. 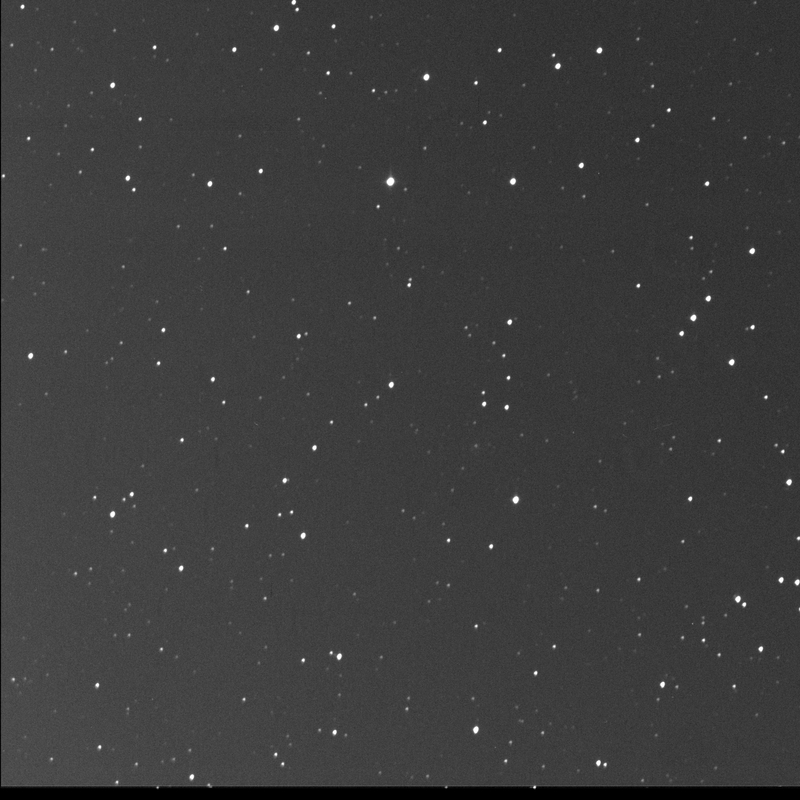 Happily, that evening, the automated 'scope at SMU tried again. But, sadly, I was clouded out for a second time! Brother! Still, it was Moonie. Sent in another ask. And this time, success! Gathered all the colour data for the carbon star. Not great seeing but no Moon around. I'll take it! For all, FITS Liberator. North is up; east is left. Luminance only, 1 second subexposures, 12 stacked shots. Paint.NET. Glomed together the data for the red dwarf. Wow. Full colour processed image. LRGB. L at 1 second; colours at 3 seconds. Each channel 12 shots stacked. Total 2 minutes exposure time. FITS Liberator, Photoshop. Also, U Cam aka BLL 12 is a double star. 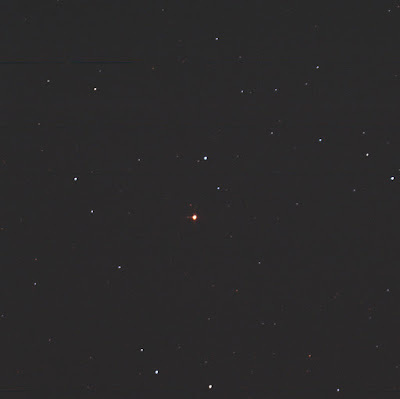 A, of course, is the bright orange-red furnace near the centre of the image; the B consort is to the north, above, the dimmer but still bright blue-white star. 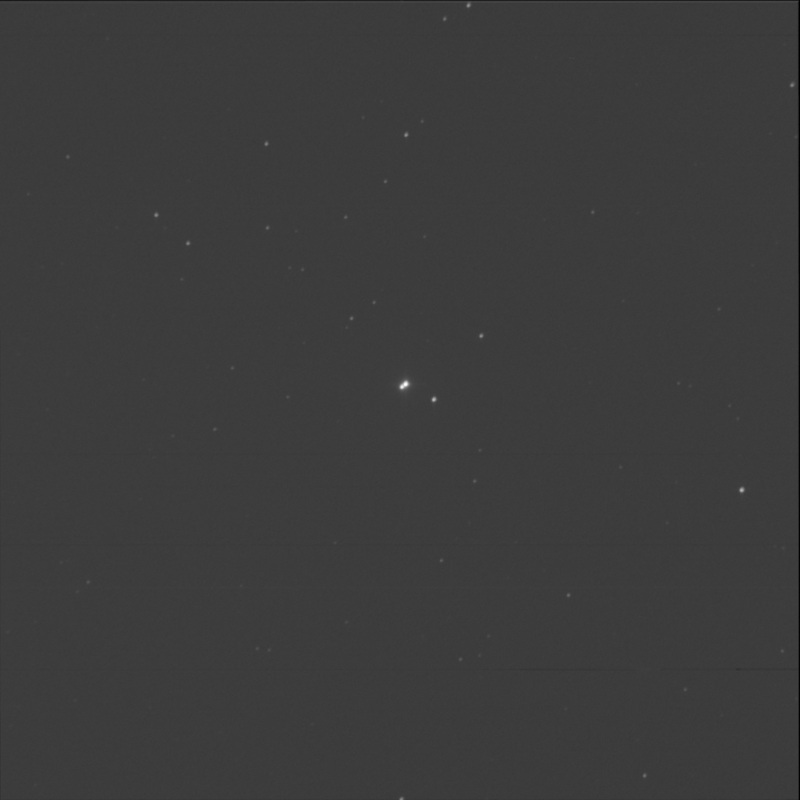 Well away (209 seconds of arc according to SkyTools). A fascinating contrast. Clouds. No chance to redeem myself. Did some follow up on the double stars from last night. 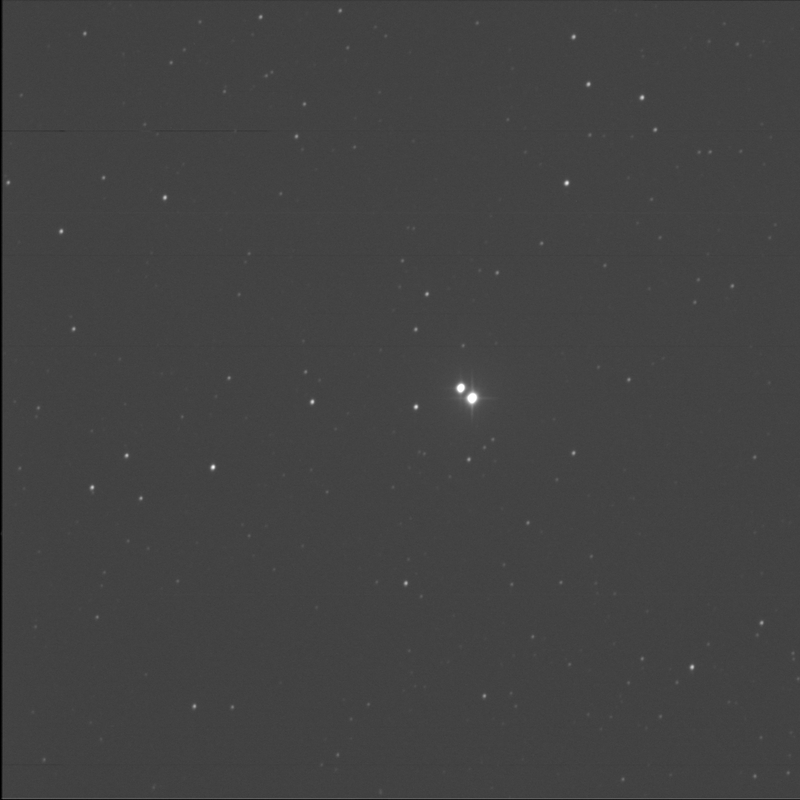 From the Washington Double Star database, I found two lines, suggesting a triple. Curiously, the first reported discoveries for both were in 1910. Both updated in 2015. I show the latest values. 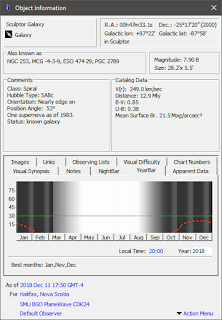 The plotted position in SkyTools 3 Pro of B to A is 100° and 39". Good. The plotted position to the other similar star to A was 43° and 104". Well look at that. So I did see the C comrade! OK. The magnitudes inside ST3P matched too. Equal stars. Same stellar classes too. I don't understand why the software didn't show it as a triple. From the WDS. I was after the magnitude values this time. Interesting. A multi-star system where A is not the brightest. Not the first time I've encountered something like this. But intriguing that the brightest accomplice is the fourth star. Huh. A fairly recent discovery with the first entry in 1988. But the separation values? 0.1 noted 30 years ago down to 0.0 a dozen years ago?! Wow. Nothing like was SkyTools shows. The PA is not bad but it is definitely not 69 arcseconds away. I also check Stelladoppie for MKT 3. Confirmed it is a very tight pair, spectroscopic really. The rho or separation is never shown more than 0.065". It is fast! 107 days... But too bad I will never see it. The comet photos on Facebook this morning, the Go call by the RASC Toronto Centre observing team for the dark sky session, another comet alert from Clear Sky Alarm Clock, and the rather optimistic Clear Sky Chart prompted me to put together a quick observing session. Let Rhonda know that I would be trying for a comet. I updated SkyTools 3 Professional with the latest comet data. 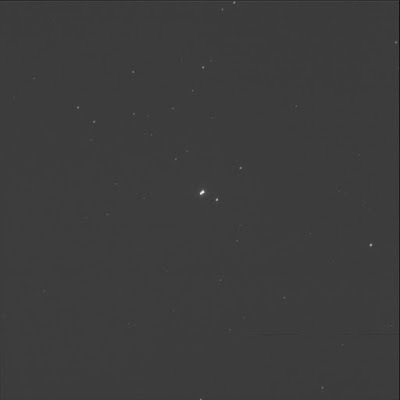 It showed 46P/Wirtanen would be magnitude 4.3. Wow. But it was 94 arc-minutes in size! Whoa, spread out. Located in Eridanus tonight, culminating between 10 and 11 PM. Some suggested it was a binocular target. The little ETX 'scope would be good. At 6:32 PM, Tue 4 Dec 2018, I began preparations in earnest. Readied the Sony voice recorder. Noticed it was still on daylight saving time so 1 hour ahead. I compared the recorded time to the Windows 10 computer. The ICD-SX750D DVR voice recorder was about 1 hour and 5 minutes faster than John Max. Verified there was lots of space: 8 hours of time left. Noted the battery level was at the half-way mark. Grabbed a basket to carry stuff out. Switched to red lighting. Powered my LED desk light. Put red film on all the monitors. Forgot I brought home a pre-cut piece for "new" 19-inch i-INC monitors from CAO. It fit perfectly. The Lee Filter red film cut for my old 22-inch Dell monitor worked fine with a little bit of overhang. Put the smartphone into red mode too. Red LED flex USB keyboard light. Got the ASUS netbook ready. Made a new SkyTools list with comet 46P as the first entry. Added a bunch of things, including some showpieces for Rhonda, and some doubles from my candidate list. Set the pairs as high priority. 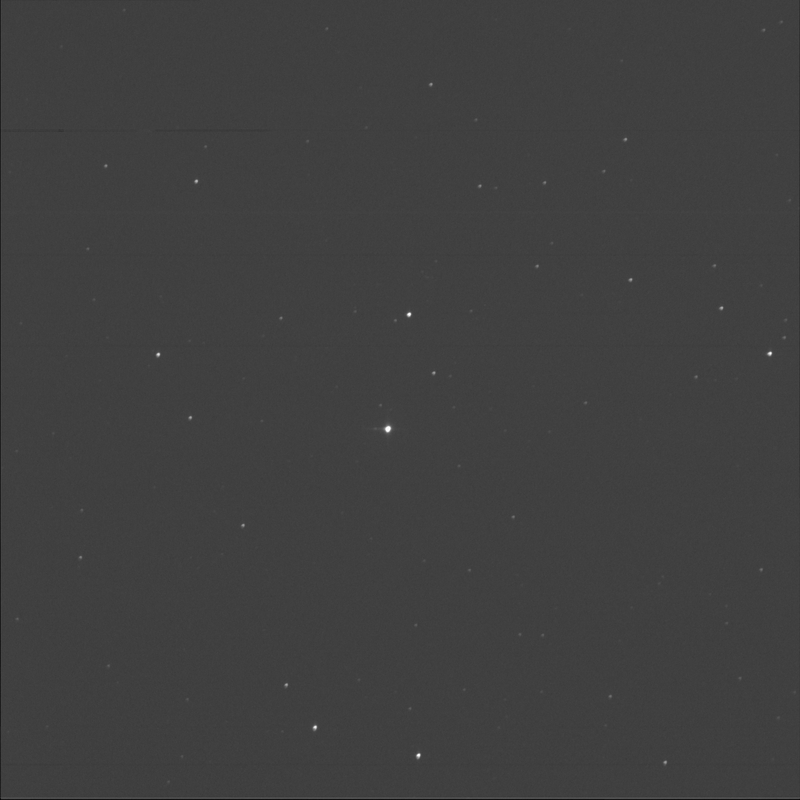 Noted a couple of other bright comets, brighter than mag 10. Planned to operate John Repeat Dance from the touchpad so to reduce equipment needed outside. About 8 high priority items. Installed some AA batteries in the ETX mount. Keeping it simple and fast. No external power. Tested it: whir whir whir. It was already feeling cold. The air temperature had dropped dramatically from daytime. My desktop Rainmeter applet was showing -6°C. Wow. Fortunately the wind speed was low at 3 km/h. I noted that Astrospheric predicted the ambient temp dropping to -9. The Clear Sky Chart showed the cloud cover to be low (clear), the transparency fair (below average), and the seeing would be good (4/5 or good). The numbers were specifically for 10 PM. Sounded like a good night for double stars! I grabbed weather site data. Saved the CSC. Grabbed the Clear Outside report. Wow: Astrospheric showed us in a pocket. The rest of the province was socked in. Clipped it to Evernote too. I played with the Good To Stargaze parameters a bit but in the end it suggested the good times would end around midnight with increasing cloud cover. It was 7:10 PM and I did some set up for the hand warmers. I started charging the electronic ones. I got out the butane one so it would be ready to fill. I checked the fuel requirements. I had previously noted 20mL I could go higher. OK. I would try that. OK. At 7:22 I activated the high-contrast mode in Windows 10, something a RASC member had suggested a short time ago. Actually I found it pretty impressive. I wasn't expecting a good result but it acts a lot like what happens when I turn on red light mode in SkyTools. For programs that behave like Notepad and Windows Explorer (the file manager) and even Microsoft Word, they switched to light text on a dark background. Browser pages of course do what they damn well want to do. And Evernote for Windows does not offer dark mode (yet). Still I wouldn't use Windows high contrast mode without red film. 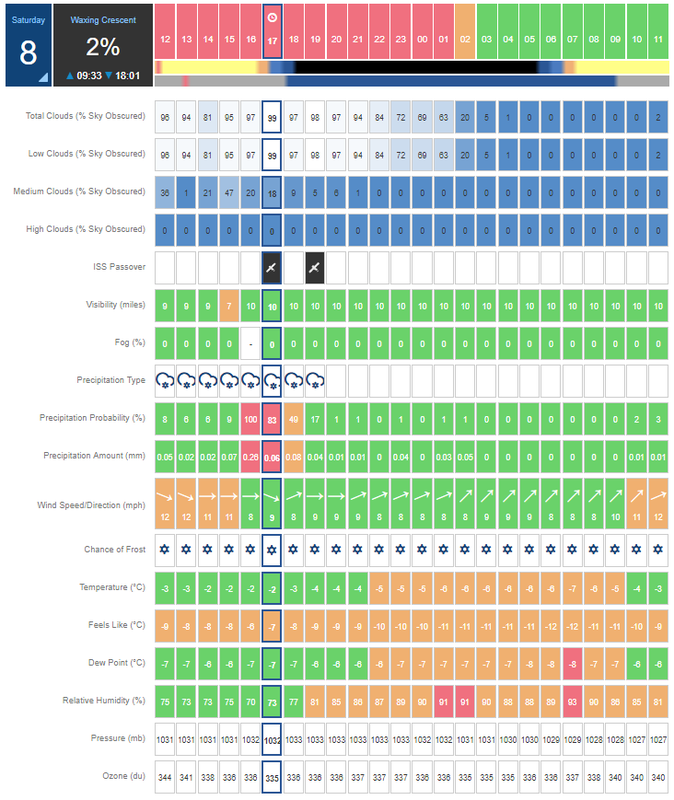 That let me do more work, quick reference card development, and get deeply dark adapted. 8:21. Noted the electronic hand warmers were fully charged. That was quick. Around 9:30, I suited up. Long johns. Many layers for the torso including RASC vest. Dug out the ole winter coat with hood and the Baffin boots. Damn Pigeon toque. Filled the butane heater. Used 2½ syringes, 25 mL, this time! I wasn't sure if the new fabric element would work. Couldn't remember if I had used it before. Used a candle to light it. Wasn't sure it was working at first but it seemed to be getting warmer. Did not burn down the kitchen. Set up in the backyard. Adjustable height chair. Big metal Mamiya tripod with hex plate. ETX. Eyepiece case. Carry-all bag with misc. stuff. Netbook. Red (laser level) wrap-around glasses. Deep red flashlight. I even had the Pocket Sky Atlas in case of emergency. Enjoyed the Seven Sisters naked eye. Polar aligned the forks. Put the Celestron 26mm Plössl in the telescope. That would produce a magnification of 48 times. Even 48 times magnification is too much for the Pleiades. 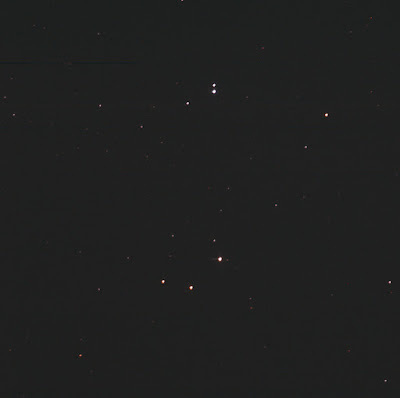 Still I enjoyed the tight faint pale orange pair in the centre, two of the stars in CHR 12. Where are my specs? Returned to the house for old specs, old eyeglasses strap, and simple dew shield. Brought out my telescopic pointer in lieu of a killer laser beam. Should have consulted my backyard checklist... Would have saved me a trip or two. Sorted my observing list by the Optimum column. First up? Tried for V640. 10:41. Ugh. With a separation of 1.55", V640 aka STF 3062 would not be splittable. It was on my double star candidate list but needs to be removed. It is a fast mover, it can stay on that list, as I should be able to split it in good conditions with a big 'scope. [ed: Haas says it is "grand."] But it is too hard for a primer programme, I think. Rhonda returned home. I readied to view the comet. Spotted the Andromeda constellation, Aries. Oh, and Triangulum. Started at the β and γ (gamma) stars of Tri. It was taking a while, a challenging star hop. Told her I'd call when I found it. When I sure I was on the right star, I went to let her know. Coincidentally, she was getting ready to pop out again. I warned her I couldn't see anything. Hawk Eye did not see any fuzziness or aquamarine colour. 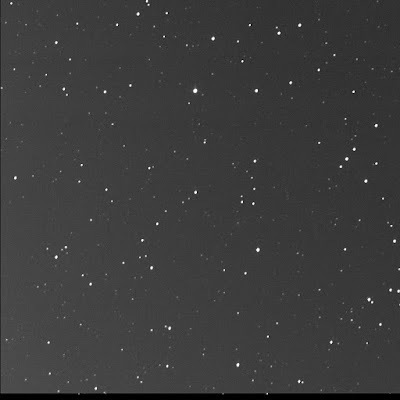 The view through the 'scope was poor and the stars seemed to fade out. She noticed it too. It was the eyepiece fogging. The humidity was high. I had already seen a lot of frost. Gah. So much for a quick setup. Brought out the Kendrick dew heaters to combat the problem. Powered with the small NOCO lithium. Remember in fact I had brought out the digital audio recorder... Fired it up. I had another look at 11:25 PM. Confirmed I was in right area. Confirmed ST3P was in real time. Viewed SAO 55051, a mag 8.9 star, right where the comet should be. I just remembered the transparency was supposed to be poor... Was that a factor? Probably. 11:27. Decided to move on. 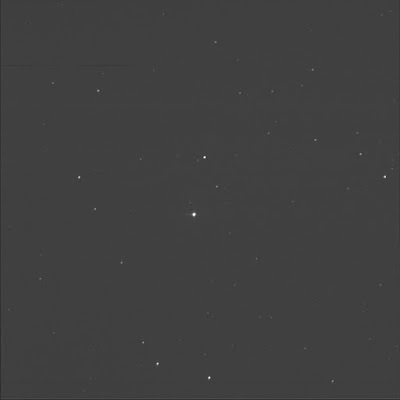 Considered Sharatan aka β Arietis. Fairly close to where I was. Began the star hopping... Should be easy, such a bright star, at the bend in the simple constellation stick figure. 11:37. Stumbled across. HR 577 in Aries. Near Sharatan. Looked like a triangle, a flattened triangle. There was a bright bluish star at the top. Then two tight stars below or to my 7 o'clock, i.e. south. They formed a hockey stick. The two faint ones were much fainter and I thought orange. A quad system according to SkyTools. Sorry, the parent was Struve 196 or SAO 75075. The A and the D were wide, at 196 seconds of arc. Seemed odd. A and B were 1.8". Not possible in this little light bucket. A and C 21.8". Confusing. Where was the A star? It was not the bright one. The faint one at the bend! Weird. Strange designation. Regardless, a neat multi-star system for a small telescope. My eyes were watering like crazy. Frustrating. Missed my bifocals. The butane heater was working great. The old Zippo fuel was OK! 11:42. I finally made it to Sharatan (or Sheratan). I saw a faint diffraction ring. I closely examined the field. Noted the skyward lens of the finder scope is dirty. Should be cleaned. It was interesting to discover that the 8x21 finder diameter is a bit smaller than an old film tube. Huh. Could use one of those to keep the finder covered. Where did I put all those extras? 12:01 AM, Wed 5 Dec 2018. Was getting frustrated with the finder. Nearly useless. A camera? What about a teenie tiny camera? 12:07 AM. At last, landed on 37 and 39 Tauri. 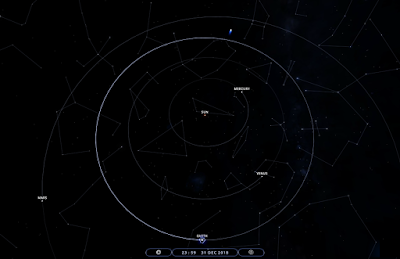 A long hop sequence from the Pleiades, essentially starting at 28 and 27. A long drive to the east, eyepiece hopping. I found two doubles. A double double, actually. Cool. 37 was on the west. Yellow, bright. North was up for me. South of A was a much dimmer star and it was orange. Right or east was 39. Dimmer than 37. Blue or white. Wait! Pale yellow? No blue-white. It's companion was above or north. Orange. 39 A and B were wider than the 37 pair. Cool view. Two in the view. Two for one. 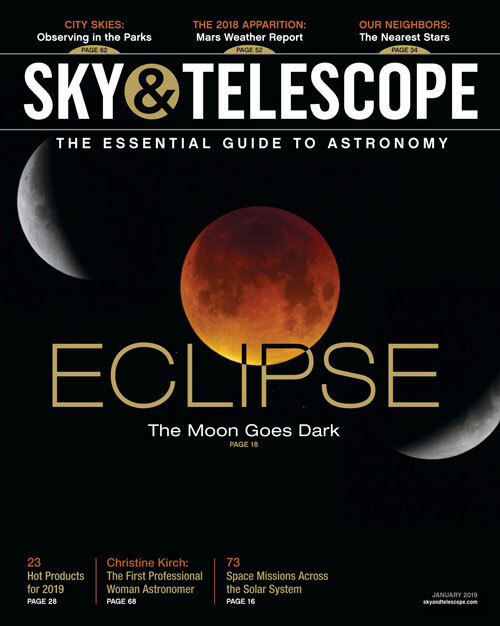 SkyTools said 37 aka STT 558 was 134"; 39 or STT 559 was 177". Not on my candidate list. It would be great entry! I had copied this form a binocular list. This would work at low power and high power. Rhonda popped out before heading to bed. Anything to look at? No comets, sadly. A pretty double double. "Oh, nice! Wow, bright." She liked it. She saw the dew heaters were working. Yeh. I returned to the ocular. 37 yellow and blue. 39 white and orange. Some other field stars made for an attractive view. My legs were starting to feel cold. 12:23. Landed at Menkib or ξ (xi) Persei. Sheesh. About a finder field away from my next target. There was a pair nearby (not noted in ST3P). 12:29. Spotted Burnham 540 or HD 24601. I thought it was a pair; it is a triple. A and B very tight at 1.4". Did not split. Not in this little tube. A and C, 57.1" apart. Easy. Mag 8.7 and 9.9. Pretty dim. Right beside my target. A little bit north east. No pronounced colours. Ho. Noted the tighter fainter pair to the east, HD 281382 aka SEE 33, with mags 9.2 and 10.4. About 26" apart. Angled toward the aforementioned pair. Yes. Saw them. Wow. Last leg. 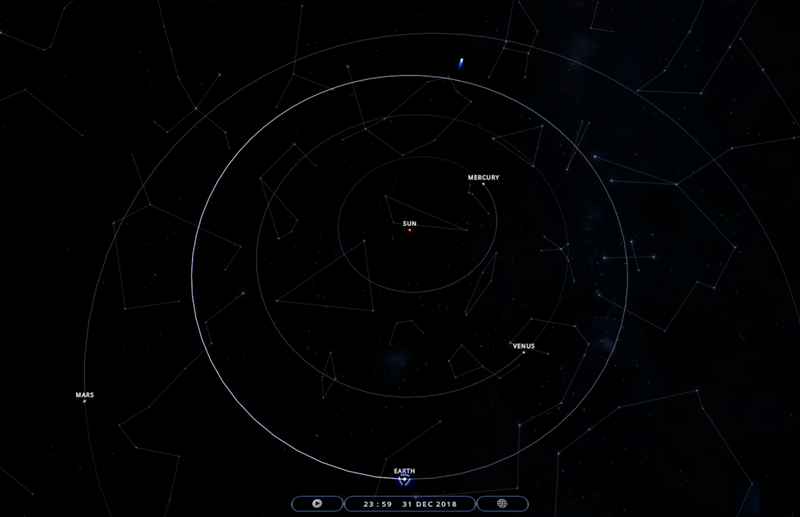 On my way to ζ Persei now. Another candidate system to test. 12:33. Immediately saw a pair, dim, to the south. Those were the D and E stars. Tried to dig out others. I knew there were others but I was trying to find them without hints from the software. Nothing... nothing obvious. The eyepiece was fogging again. Whiskey tango foxtrot? Upped the power with the Tele Vue 9mm (139x), trying to coax out more stars. No joy. The diffraction rings were very pronounced. And I don't think perfectly round. Alas, I could not see additional companions. Still, it was a good test. It works at low power; it'll work at high mag. OK. That's it. Cold and perturbed. Took in the whole sky to the south. Orion at the meridian. Meissa. 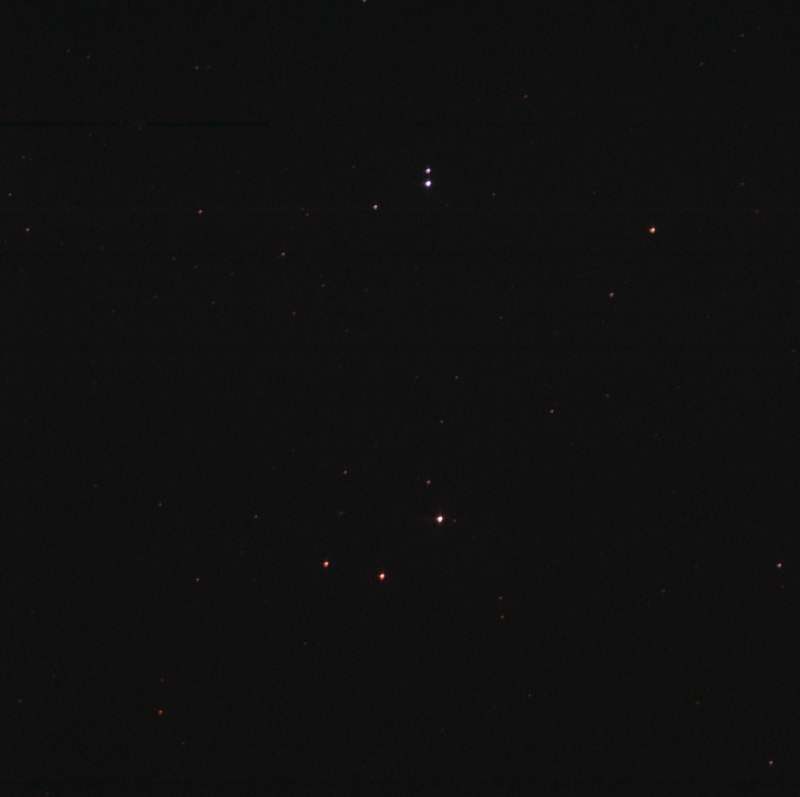 Sirius in Canis Major. Canis Minor off to the east. Gemini up high. Oh, yeah, the Winter Football! So big. Hey, and the rabbit ears below Orion's feet. High cloud in the south, streamers. Rather cold. Saw bright Sirius flicker for a moment but then stop. Right. It was very good seeing tonight. Hauled the gear inside. Mixed feelings about tonight. Frustrating using the ETX and the ridiculous finder scope. It is so incredibly annoying. I've got to figure out a better way. The controls are challenging to operate especially when viewing near the zenith. The dew was a challenge. Comedy of errors tonight, forgetting things, sitting in a perfect spot for a street light a block away to shine in my face, the touchpad not working on the computer, bringing outside a corded mouse, and then getting caught in cords, eyeglasses strap not working, still irked I can't find my good ones, the computer mouse falling to the ground repeatedly, battery dying, dying so quickly. It was a little discouraging. But... But! I knocked down a few more doubles! Thought of the RASCals down at Long Sault tonight freezing their oculars off. I didn't trip the motion sensor light once tonight despite all my trips to and fro. 1:06. Inside, warming up, I pulled the current wx data. From Environment Canada for Newmarket. No Alerts in effect. Clear, -7°C. Observed at: Toronto Buttonville Municipal Airport. Date: 1:00 AM EST Wednesday 5 December 2018. Condition: Clear. Pressure: 101.9 kPa, falling. Temperature: -6.6°C. Dew point: -8.5°C. Humidity: 86%. Wind: N 2 km/h. Wind Chill: -8. Detailed Forecast issued: 3:30 PM EST Tuesday 4 December 2018. Tonight, Partly cloudy with 30 percent chance of flurries. Wind up to 15 km/h. Low minus 7. Wind chill minus 4 in the evening and minus 10 overnight. Oh oh. Learned my big mistake. Too late... Went to the wrong comet! Brother... Realised this as I transcribed and compiled my notes. Damn it! The butane heater was going strong as I went to bed. So 25 mL of fuel was plenty offering over 6 hours of high heat.